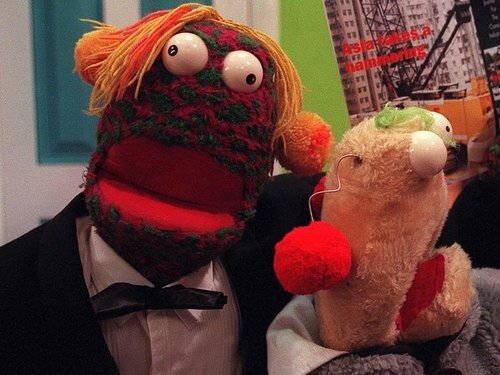 Zig and Zag - "We're really looking forward to being on Twiggery Tonight"
Extraterrestrials Zig and Zag will be among Ryan Tubridy's guests on 'Tubridy Tonight' on Saturday night. Zig: "The last time we were on the tellybox, 'Kenny Live' was on!" Zag: "But we're really looking forward to being on 'Twiggery Tonight'." Zig: "We are indeed, brother. Ryan was a fan of ours back in 'The Den' days." Zag: "He used to make Sindy doll dresses and send them in to us! A very creative boy!" Also joining Tubridy on Saturday night at 9.45pm will be British actor and director Richard Attenborough and 'Desperate Housewives' star Dougray Scott, who is currently in Ireland shooting the new RTÉ-ITV drama series 'Father & Son'.